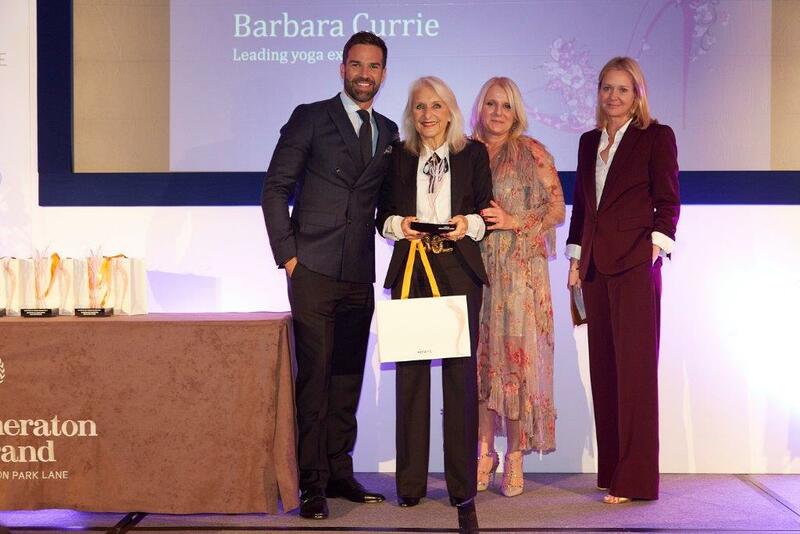 Barbara Currie began teaching Yoga 40 years ago and has become one of the UK's leading experts in this field. Barbara Currie has daily classes in Surrey. These classes range from beginners to very advanced - checkout details and times on the Classes page. The school holds classes in the following locations of Surrey county 'Oxshott', 'Esher' and 'Walton on Thames'. Barbara Currie has been awarded the "Champion of Style and Spirit" by Mayfair Times. The inaugural Champion of Women Awards organised and hosted by The Dovetail Agency, raised more than £100,000 in support of cancer charity Maggie’s Centres on Friday 29th September 2017. Held at The Sheraton Grand London Park Lane Hotel on Piccadilly in Mayfair, more than 380 women celebrated the success of inspirational women. The Champion of Women Awards recognise the achievements and compassion of women who support other women and young girls and have excelled in their field of business across television and film, sport and fitness, fashion and beauty, travel and lifestyle, medicine and finance. The awards were founded by Jayne Alexander, Founder and MD of The Dovetail Agency in celebration of the company’s 20th anniversary. 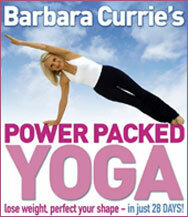 Barbara Currie - the countries leading yoga expert has devised this Power Packed DVD to help you to that beautiful world famous yoga shape, give you incredible energy, amazing flexibility and allow you to experience yoga's deep relaxation techniques. This unique 28-day yoga and diet plan will help you get 10lbs lighter and feel 10 times happier too. 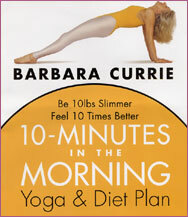 Visit Barbara Currie YouTube Channel.